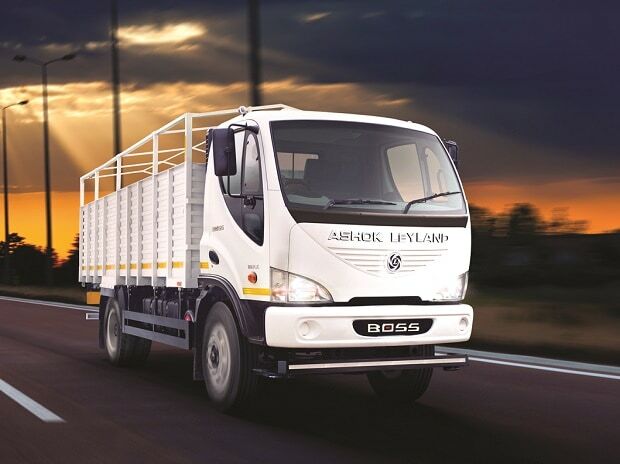 Ashok Leyland has gained 20 per cent on the bourses over the past month on expectations of a recovery in volume growth in the second half of the current financial year and additional market share gains in the commercial vehicle (CV) space. It is also taking other steps to help propel growth rates. After having gained 11 percentage points in market share in the medium and heavy CV (M&HCV) space over the past five years, it is expected to add a further 100-200 basis points (bps) over FY17-19. IDFC Securities believes the company will expand market share by an incremental 100 bps over the next three years due to new products, improved services to fleet owners and expansion of distribution network. Quant Broking's analysts peg the extra market share gain at 210 bps over FY17-19, given the success of its BS-IV range of vehicles and product pipeline in both medium and heavy CVs. Domestic growth so far in the year has been disappointing, with year-to-date volumes declining 11 per cent for the sector and 2.3 per cent for Leyland. This was on account of economic slowdown, demonetisation, transition to BS-IV compliant vehicles and uncertainty on the implementation of the new goods and services tax (GST) regime. After three months of declining growth rates (June quarter), industry volumes improved in July and August. The trend is expected to continue in September, ahead of the festival season. Thereafter, volume growth (on a low base) is likely to pick up in the second half of the financial year, on expectations of higher construction and mining activities, as well as overall demand. There are early signs of a trend reversal in freight demand as well. After a muted trend in the earlier four months, freight rates were up year-on-year by two to five per cent in August and in September. The Indian Foundation of Transport Research and Training believes retail freight margins are at a record high in the first half of this month and truck utilisation is better by 15-20 per cent over the same period in August. While part of the freight increase, say analysts at IDFC Securities, would be a reflection on seasonality and higher diesel prices, the growth is positive. If the higher rates sustain or improve, it will be an indication of improving demand. This should benefit CV makers like Leyland. While analysts expect the sector to report flat volumes growth in FY18, Leyland's volumes growth could also be restricted to single digits. The bigger gain is expected in FY19, when the sector and Leyland are expected to grow by 15 per cent as full recovery takes hold. Growth for the company is also expected to come from segments that have not been making big revenue contributions. To reduce cyclical business, the company is looking to reduce its dependence on heavy trucks, currently bringing around 70 per cent of revenue, to less than 50 per cent in the near term. While the share of export is expected to increase from eight per cent to a third by 2022, the company is also looking at doubling the market share of light CVs (two to seven tonnes) to 30 per cent in the next four years. Two other focus areas are the high-margin spare parts business, currently seven per cent of revenue, and the defence equipment sector, which is at an early stage. Given the company's goals, prospects and growth expectations, most analysts have a 'buy' rating on the stock, with target prices in the Rs 130-151 range. This would translate into a gain of 13-26 per cent from the current level of the stock, trading at 18.6 times its estimated FY19 earnings estimate.